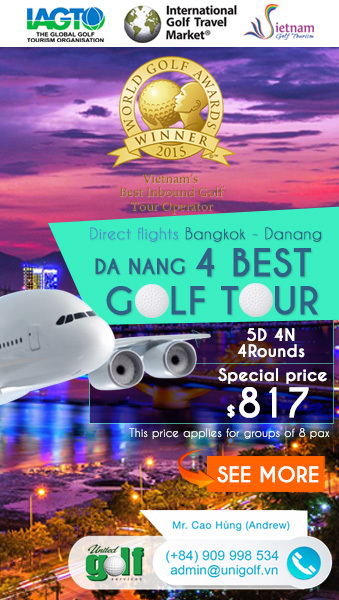 Royal Island Golf Course is set on a 215-hectare estate in the heart of a green island in the middle of Dong Nai River, 1.5-hour drive (45km away from HCMC) with tens of industrial parks around, many foreign companies and golfers working nearby the island. The remote and isolated island which is formed by the Dong Nai River from millions of years ago is hidden gem, perfect for those wanting to escape the hustle and bustle of the everyday world. The project is a 100% FDI US$41 million Project made by the Nan Phong International Co, LtdTaiwan and HCP Group in China. 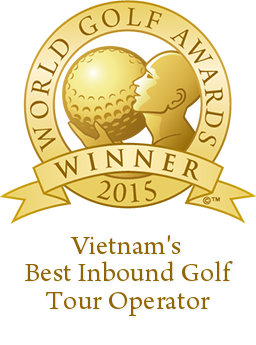 The group owned Taiwan NanPhong golf club and China SanYang golf club, HuaiAn golf club. 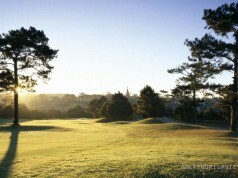 Group has over 30 years experience in developing real estate and managing golf clubs. 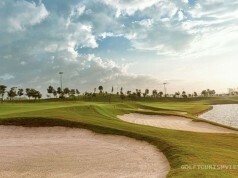 The 7215-yard, par 72 course which is designed by the legendary golfer and winner of six major tournaments – Lee Trevino officially opened for the 18 holes golf course of the First Phase plan in December 2012. The project aims to build and develop 54- hole course targeting the PGA Championship with villas and recreation facilities in the future. 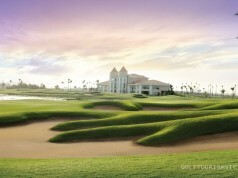 Royal Island Golf Club put its spirit and value in its island’s natural heritage. And as Chairman Mr. Chiou said“the voice of the river speaks to the heart.” The course embraces the charming river that together welcomes the guests and members coming to play the deluxe sport. Delivering the amusement of the light , the breeze and the smell of the river during a round of golf at Royal Island. The new golf course was laid out according to the latest standards. The game can be started from one of three different teeing grounds, making the course attractive for both professional and amateur players. Playing under six thousand yards from the shortest tees, to give you a beautiful and relaxing round of golf. Drop back to the black tee’s and add a thousand yards to the length. You now have a lot of work in front of you. The fairways are very narrow and lined by a plethora of water hazards, sand traps, and other natural hazards, that pose a challenge even for the most experienced golfers, there is no space for small mistakes. The contours of the green require a carefully placed approach shot and a keen eye for reading putts. According to golfers, each game presents a challenge. Each hole has its own set of characteristics and requires specific skills. The island is beautiful with fresh air and green environment which fit to host international golf tournament and winter training base. The idyllic landscape of the course attracts anyone seeking peace, recreation, relaxation, and sporting pleasures in particular. Address: An Chu, Tan Uyen Commune, Binh Duong province, Vietnam. Keyword: royal island golf, royal island golf course, royal island golf club.